This annual forum is the premier learning and networking opportunity for supplemental insurance professionals. 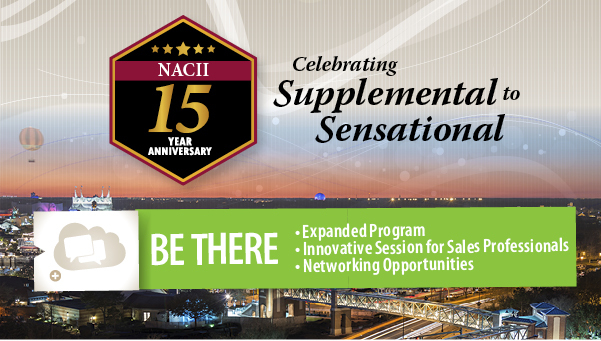 Sessions covering product development and pricing will be featured, and this year NACII is including a special track focused on sales training. Additionally, an in-depth session covering the latest developments in today’s complex regulatory environment will be offered. The 2017 NACII Supplemental Benefits Forum was designed to provide value for professionals in a variety of roles. Specialists in product development, claims, risk management, underwriting, pricing, sales and distribution, marketing, and administration all found significant opportunities for professional growth and networking.